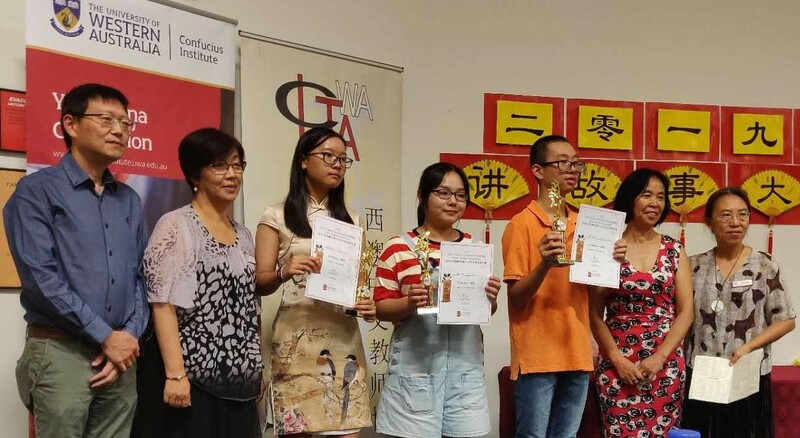 On Saturday April 6th, Stephanie Wignell and Hua Li accompanied 5 Melville students to The University of Western Australia to take part in the WA Chinese Story Telling Competition. 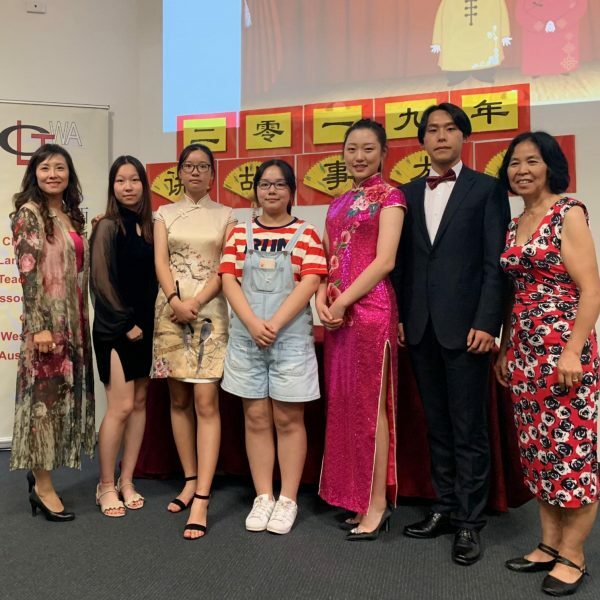 Two of our year 12 students were ‘MCs’ for the event, Jiawei Lu and Qizhen Zheng, and another year 12 student, Chuwen Jing, attended for support and helped to coach the competitors. 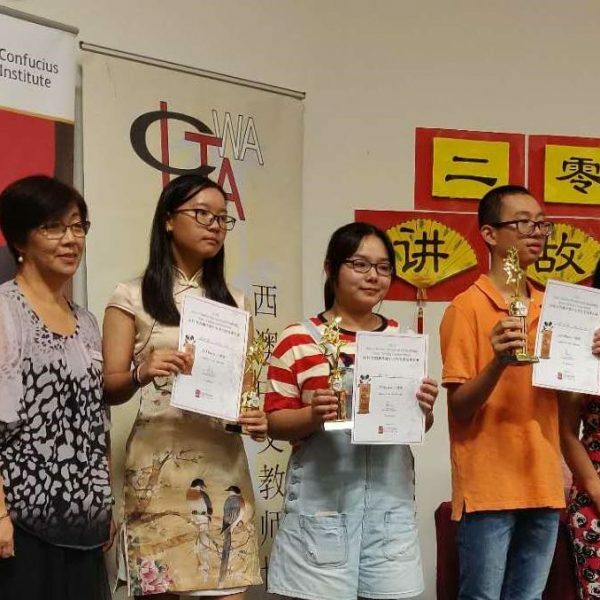 Our two competitors, Julin Yuhong Lin in year 9 Jane Yu Bau in year 10, finished 2nd and 3rd (respectively) in the competition. An amazing effort by our students. The competition also comprised of participants from Guilford Grammar, Rossmoyne, Perth Modern and many other high achieving schools. Stephanie and Hua have spent numerous hours coaching and training the students in the lead up to the competition and it showed in their confidence during performance. It is important to recognise the efforts of everyone involved as not only is it a wonderful and enriching experience for the students, it has also placed Melville Senior High School in a very good standing within the Chinese community as members of the Chinese Embassy and various community organisations were in attendance. Congratulations to those students who participated in this event!